Here’s a fact that will surprise exactly no one: your customers want to get from A to Z in size, revenue and profitability in no time flat. One one hand, it’s exciting to get the opportunity to really step up your game and get results. On the other, it can be challenging to manage customer expectations because some don’t understand where they actually stand in their own maturity curve. 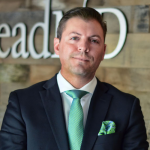 In his recent Inc. column, LeadMD CEO Justin Gray explores three ways to help clients view their market, their maturity, and your role in their success. He explains why benchmarked data allows you to set expectations and communicate realistic results. Justin also talks foundations and explains whey vendors have to do a better job of build products and services around the minimum maturity in the first place. He also shows why successful client engagements aren’t about one-and-done projects – but assisting with organizational mindset shifts that help everyone see the bigger picture. Read the whole article here. ← Do Your Systems Support a Personalized Customer Experience?